Suzanne Kuhn is a dynamo, an energizer bunny of positive force that I had the pleasure of meeting at the 2013 Philadelphia Writers’ Conference where she, along with hubby Shawn (the man behind the woman) helped me run the social media rap sessions. After more than 25 years of working in the book retail and event sales field, Suzanne started SuzyQ, a business that focuses on teaching authors how to increase sales through the use of various promotions, both online and in person. Suzanne was kind enough to answer some questions about SuzyQ and the writing world in general. Jim Knipp: So, tell me a little bit about SuzyQ. 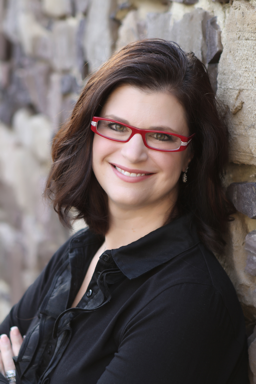 Suzanne Kuhn: SuzyQ is a full-service author promotion firm that helps authors reach their specific target audience; connecting authors with readers through live and virtual interactions. SuzyQ focuses on promotion; on building up an author’s platform and brand development, extending their reach and sphere of influence. We offer coaching and training through one-on-one sessions, webinars, and live conferences. Other services range from social media, book-signings and book tour facilitation. For SuzyQ, no two clients are ever alike; everything we do is customized for each individual client’s needs and goals. We focus on engagement and relate-ability, while defining author etiquette. We are more about promoting the author as a brand versus just a book, emphasizing for every writer that YOU are your brand. Jim Knipp: Which types of events do you most enjoy working with? Which are your most challenging? Suzanne Kuhn: I personally really enjoy writers’ conferences. I love offering workshops and teaching writers from my unique perspective. It’s so exciting to stand in the front of a room full of writers and watch the light come on for each of them at different moments as I begin to “unpack” the topics of my workshops. As far as SuzyQ events, this is actually a tough question to answer. If I had to pick one, I most enjoy assisting my clients with events that require live interaction, such as book-signings, speaking engagements, and trade conferences. Because the nature of what we do is events, we are equipped and prepared for all types of scenarios. We are poised with a Plan A but always prepared to move towards a Plan B, C or Z, if necessary. Due to ever-changing variables, these live events, although my favorite, often prove to be the most challenging. Jim Knipp: Any interesting stories you want to share? Suzanne Kuhn: I never know when and where I’m going to meet a new client. I met one of my new clients, an up-and-coming author of children’s books, while standing in line for a dinner reservation at Walt Disney World. Another client I met during a 15 minute appointment at a small regional writers’ conference. Her debut non-fiction book is doing really well. I met yet another client at a large writers’ conference after she had signed a three book contract with a traditional publisher. She had her promotional bookmarks for her debut novel in hand, and I had her autograph (with a SuzyQ Sharpie) a bookmark on the spot, making me the first person ever to receive her autograph. That debut book is now in it’s fourth print run, she’s contracted for two more books in that series, and this week we are celebrating the release of book three from the original three book contract. I have the privilege of meeting my fabulous clients in all types of settings and at various stages in their careers, but I also have the extreme privilege of joining them on their individual journeys. Jim Knipp: You often mention the importance of branding, what are some basic things writers can do to help create their brand? Suzanne Kuhn: Branding is what distinguishes you from another writer who may have a similar audience, writing style, genre or topic. Define who you are and what makes you unique. Make a list of things that would describe you and your audience. Think dimensionally; visually, descriptively, philosophically, spiritually. No one is one dimensional and it’s not only important that our brand is clear and concise, but also that it offers the various dimensions of who we are. Professionally, I am an author promoter. Dimensionally, I am also a quirky, fun-loving, vibrant, eclectic personality. I’m a coffee snob, a foodie, a lover of Disney. I have a very close-knit family and my faith is a huge part of who I am. I bring all of these aspects into my brand. Because red has become a signature color for my brand, I wear red to all my SuzyQ engagements. Though not originally intended, my red glasses have also become a signature item for me. I own other glasses and even wear contacts, but I always wear my red glasses for SuzyQ engagements. Because I talk to authors about the importance of autographing their books and bookmarks, I give away SuzyQ Sharpies, emphasizing my brand. I’m not suggesting an author specifically do any of the things I do, especially the Sharpie, because although that emphasizes my brand, it would not emphasize an author’s. To emphasize their brand, an author can give away autographed bookmarks, wear a signature color, sign their books with a signature color (Sharpie offers a wide array of colors), wear a signature item, use a unique tagline; the possibilities are endless. When it comes to branding, the only requirement is that it fits who you are and connects you to your audience. Jim Knipp: At what stage in a writer’s career should they be engaging services like SuzyQ? Suzanne Kuhn: Because we assist authors in reaching their target audience, we can help them at any stage of their career. For the writer who is just beginning the process of putting “pen to paper”, we can assist them in laying their ground work for establishing their platform and finding their target audience. We often help writers define who their audience is, which is helpful when an author is trying to establish their voice. For the more seasoned author, we are able to assist them in gaining traction with their existing audience, while adding to that audience. With our backgrounds in book specific retail, the SuzyQ team understands not only the importance of connecting the reader with the book, but also how to go about doing so. This factor distinguishes us from many other publicity and PR firms. Jim Knipp: Has the increase (and ease) of e-publishing made your job easier or harder (and why)? Suzanne Kuhn: Both! Even though “anybody” can publish an ebook, it doesn’t mean they should. Not all books are good enough to be best-sellers. Sometimes we have authors come to us hoping to have us assist them in promoting their book and, quite honestly, it’s just not a book that we can get behind. We always try to give honest, constructive feedback, but it’s never fun to crush someone’s dream of becoming a best-selling author. On the other side, we have seasoned authors and new authors who have great ebooks, and we can use the books as a marketing tool to expand the author’s platform. Often ebooks are less expensive than a physical book, allowing a potential reader to try the author out with little to no investment. This is a great way for any author to gain access to new readers. Jim Knipp: What would you say is the most significant way social media has changed the publishing world? Suzanne Kuhn: Social media allows the author to interact with their readers and potential readers directly. I’ve been in the book business for more than 25 years, and even 10 years ago the only options for interacting directly with an author were either live events or email. And many of those emails were answered by an assistant or fielded by the publisher. This “all access” environment affords the savvy author an edge if they choose to seize the opportunity and use social media to connect on a personal level. And from KnippKnopp Middle Baby: What’s your favorite color? Thanks so much! I had a blast with the writers at PWC! !